On November 15, we hosted a Facebook Live Q&A with Tina’s Wish Researcher and Scientific Advisory Board member, Dr. Charles Landen of the UVA Health System. 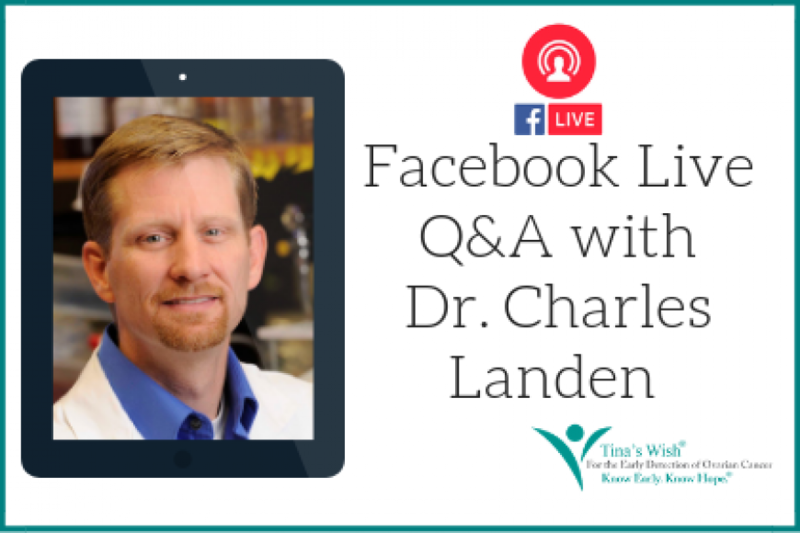 Dr. Landen spoke about his research in early-stage ovarian cancer detection through vaginal sampling (aka the “tampon test”) and answered viewers questions live. For the full video, see below. To learn more about Dr. Landen and his research, CLICK HERE.